The City of DAVAO (also known as The Premier City of The South or The City in Bloom) is the largest city in the Philippines. It is the world's largest city in terms of land area, occupying 2,444 square kilometers. The city is the regional center of Davao Region (Region XI) and has a population of 1,725,355 people (2005 estimate) in 240,057 households (2000 census). Some must-visit areas of the city include HOLIDAY GYM AND SPA (the most modern and complete spa, massage and fitness center), HOLIDAY OCEANVIEW RESORT AND MARINA (the first and foremost marina being built in Mindanao) and CAMP HOLIDAY BEACH RESORT SAMAL (an exciting new outdoor camping concept). In recent years, the sprawling urban METROPOLIS of Davao has emerged as the business, investment and tourism hub for the entire southern Philippines. Its international AIRPORT and SEAPORT are among the busiest cargo hubs in the southern Philippines. The city boasts of some of the finest beaches and most captivating diving spots situated just a 15 minutes "Roll-on Roll-off ferry" ride to the ISLAND GARDEN CITY SAMAL and some of the most fun-filled colorful festivals held every year in Davao City: KADAYAWAN, ARAW NG DABAW and MUTYA NG DABAW PAGEANTRY. The CITY TOURISM OPERATIONS OFFICE of DAVAO is by far the most committed in facilitating and encouraging the tourism industry in the region. ASIAWEEK ranked Davao among the 20 most livable cities in Asia, above Manila and Cebu and the number one as the most livable city in the country. The following are general overview of the: Information on buying a house, condo, lot or any real estate property in the Philippines. It includes relevant information on Philippine laws and regulations, specially for former Filipinos who are now naturalized citizens of other countries and for foreigners who wish to purchase a property in the Philippines. Disclaimer: We try our best to give accurate information on this site. However, we could not be held legally liable for its contents. This serves only as a guide for general reference. As a rule, only Filipino citizens and corporations or partnerships with at least 60% of the shares owned by Filipinos are entitled to acquire land in the Philippines. Up to one (1) hectare of agricultural farm land. By law, foreigners don't have the right to acquire land in the Philippines. The simplest way for a foreigner to acquire real estate properties is to have a Filipino spouse purchase a property. Another alternative is having a Filipino partner when acquiring a property. The partner owns 51% or more and the remainder is owned by the foreigner. Owning houses or buildings is legal as long as the foreigner does not own the land on which the house is build. The land can be leased by the foreigner or a foreign corporation on a long term contract for an initial 50 year period and renewable every 25 years. A foreigner can rent a lot and at the same time legally own the house on the rented land. Corporations or partnerships that is at least 60% Filipino owned are entitled to acquire land in the Philippines. Setting up a corporation with 40% of the stocks in the foreigner's name and 60% to Filipinos is a good alternative. There must be a minimum of 5 stockholders, and foreigner can have the Filipino stockholders sign blank transfer of the stocks for security. Acquisition thru hereditary succession if the foreigner is a legal or natural heir. This means that when you are married to a Filipino citizen and your husband/wife dies, you as the natural heir will become the legal owner of his/her property. The same is true for the children. Every natural child (legitimate or illegitimate) can inherit the property of his/her Filipino father/mother even if he/she is not a Filipino citizen. The Condominium Act of the Philippines, R.A. 4726, expressly allows foreigners to acquire condominium units and shares in condominium corporations up to and not more than 40% of the total and outstanding capital stock of a Filipino owned or controlled condominium corporation. All unpaid taxes due (if any). Extended Value-added Tax (EVAT) - For units with gross selling price of over P2.5 million, there shall be imposed a value-added-tax of 12% payable on each sale to the BIR. Any units with a gross selling price of under P2.5 million are exempted. Documentary Stamp Tax - An instrument, document or paper on the sale, transfer or exchange of real property is required by law to be stamped. The Documentary Stamp Tax at the rate of 1.5% of the purchase price, zonal values, or the market values under the Tax Declaration of the property, whichever is higher, is payable to the BIR within ten (10) days after the close of the month when the DOAS is signed and notarized. Local Transfer Tax - Local transfer tax is imposed by the City Treasurer’s office generally at the rate of 0.8% of the purchase price, zonal value, or TD value of the property, whichever is higher. Registration Fees - are payable to the Register of Deeds at the rate of P8,796.00 for the first P1.7million plus P90.00 for every P20, 000.00 or fraction thereof in excess of P1.7 million. The "Deed of Sale" or "Deed of Absolute Sale" is the document showing legal transfer of real estate property ownership. The deed of sale is then taken to the Registry of Deeds to be officially recorded after paying the documentary stamp, transfer tax and registration fees. Always verify from the Registry of Deeds the authenticity of a Transfer Certificate of Title before buying a property. If the seller only has a tax declaration, be extra cautious and check with neighbours, the Barangay captain or anyone in the know in the community to verify the seller/owner's true identity and the property's history. Your Agent/Broker will usually do the registration process... for a fee. 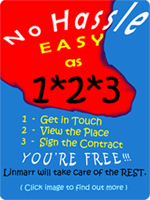 At Linmarr Towers, even if the sale is done through an agent, our policy of "EASY as 123" will keep you at ease and give you peace of mind. 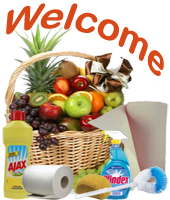 We will do all the processing for you at no extra charge. Please see our Flowchart page for details of what Linmarr Towers will do. An adapted form of the "Torrens" system of land registration is used in the Philippines. The system was adapted to assure a buyer that if he buys a land covered by an Original Certificate of Title (OCT) or the Transfer Certificate of Title (TCT) issued by the Registry of Deeds, the same will be absolute, indefeasible and imprescriptible.